From humble beginnings in 1999, when people could subscribe to get movies delivered to their door, to an entertainment juggernaut worth over $30 billion, Netflix has come a long way. The digital subscription service now has over 75 million users worldwide, who streamed a total of 42.5 billion hours in 2015. Netflix originally offered television series created by other networks, but in 2012 they decided to begin producing content of their own. This decision was wildly successful — Netflix even led the television networks at the 2016 Golden Globes with eight nominations. However, not all Netflix shows are created equal. To help you prepare for your next Netflix bender, PrettyFamous found the 20 best original Netflix series. Each of these shows originally aired on Netflix and is ranked by Smart Rating, a comprehensive score that takes into account IMDb rating, IMDb votes (each show has at least 500), Emmy Awards, Rotten Tomatoes and Metacritic Ratings. Although creepy horror show “Hemlock Grove” stuck around for three seasons, it hasn’t caught on amongst critics. Season one has an abysmal 27 percent rating on Rotten Tomatoes. However, the show is produced by thriller mastermind Eli Roth, and audiences generally enjoyed seasons two and three. Netflix decided to capitalize on the success of the 2001 comedy, “Wet Hot American Summer” by bringing back the cast 14 years later for a reunion miniseries. Although the show did not go over well with critics, fans loved to see Paul Rudd, Amy Poehler and Bradley Cooper frolicking around as 16-year-olds. “W/Bob & David” is a comedy sketch show starring Bob Odenkirk of “Better Caul Saul” and David Cross of “Arrested Development.” Some argue that the show is a little too risqué, and Netflix hasn’t announced if it will be picked up for a second season. “Club de Cuervos” is the first Netflix original series in Spanish. Hollywood Reporter labeled it as a “soccer dramedy” and is a big step for Netflix as they expand to foreign markets. “Grace and Frankie” impressed critics from the outset. Lily Tomlin was nominated for a Golden Globe for her comedic performance as a woman coming to terms with her husband’s affair — with a male coworker. The show was renewed for at least one additional season. “F is for Family” is a 30-minute cartoon sitcom starring standup comedian Bill Burr about a family struggling to get by in the 1970s. The show was produced by heavy-hitter Michael Price (once a writer for “The Simpsons“), and features the voices of Laura Dern and Justin Long. Fans are anxiously awaiting confirmation that it will be renewed. “Unbreakable Kimmy Schmidt” was nominated for seven Primetime Emmys in 2015. Fans love Tina Fey‘s writing and Ellie Kemper‘s sweet portrayal of a woman navigating New York City after being indoctrinated by a cult for most of her life. Netflix cancelled Norwegian crime drama “Lilyhammer” this year, but it delivered three powerful seasons. 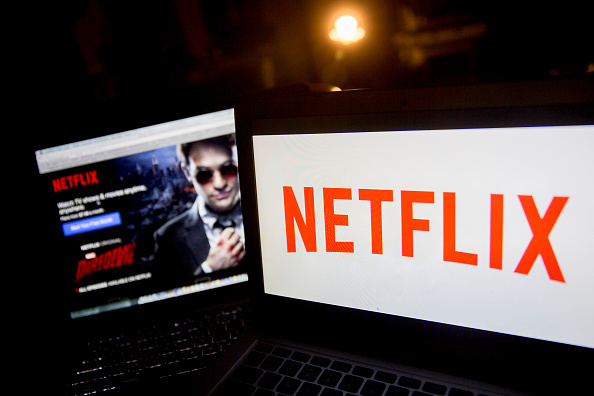 The show also represents “Netflix’s first foray into original programming” and its success clearly opened the door for Netflix to create more of its own shows. “Bloodline” was produced by the same people who brought us the FX drama “Damages.” Cinemablend hailed it as “Netflix’s best drama yet” and actor Ben Mendelsohn received a Golden Globe nomination for his role as Danny Rayburn. Another animated sitcom on this list, “BoJack Horseman” was praised by Business Insider as “television’s best kept secret.” Although technically a comedy, audiences are drawn to the “dark, emotional heart” of the show. Comedian Aziz Ansari had a stellar 2015. He published a New York Times Best Seller (“Modern Romance”) and created a successful show loosely based off of research from his book. A New York Times review called this show “the year’s best comedy,” but another season has yet to be confirmed. Netflix’s first endeavor into the world of cooking shows was a success. “Chef’s Table” delves into the lives of six world-renowned chefs and was nominated for one Primetime Emmy (Outstanding Music Composition for a Series). “Chef’s Table” also won the International Documentary Association’s award for Best Episodic Series. “Sense8” was produced by the Wachowskis, the well-known sibling duo who created The Matrix series. It’s an exciting sci-fi drama, and fans can’t wait for season two. Unfortunately, the release date was pushed back from June 2016 to sometime in 2017. After just one season, fans were hooked on the dark superhero Jessica Jones played by Krysten Ritter. Rotten Tomatoes calls the show “Marvel’s strongest TV franchise to date.” The show is coming back, but Netflix has not announced precisely when that will be. “Making a Murderer” gripped the nation as the 10 episode series, filmed over 10 years, exposes holes in the first degree murder case against Steven Avery — a man wrongfully convicted once before. Another show that premiered in 2015, “Narcos” tells the true story of Colombian drug kingpin Pablo Escobar. “Narcos” was nominated for two Golden Globes, including Best Television Series, and will be back in 2016. The first season of “Orange is the New Black” was loosely based off of the book “Orange Is the New Black: My Year in a Women’s Prison” by Piper Kerman. The series has sharply diverged from that story, but fans love the increasingly bizarre plot twists and complex cast of characters. “OITNB” will be back for a fourth season this summer. “House of Cards” is a riveting show about a Congressman and his thirst for revenge. With strong performances from Robin Wright and Kevin Spacey, and an intriguing plot each season, it’s no surprise that “House of Cards” reigns supreme as Netflix’s top rated original show.